Height: 4-1/8". Width: 3-1/2". Thick: .020. Weight: 0.056oz. Stamped steel. 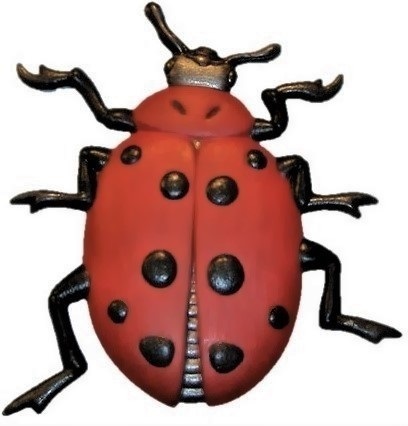 Colors shown: Ladybug's wings is brownish red with black spots. customized home decor accent piece.